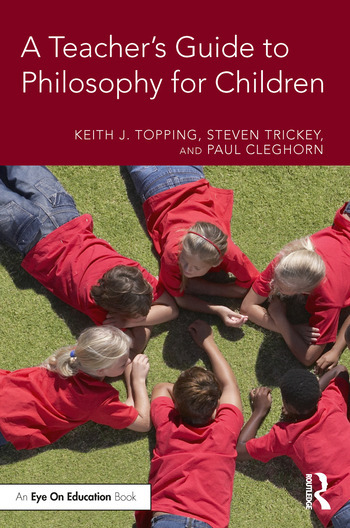 A Teacher’s Guide to Philosophy for Children provides educators with the process and structures to engage children in inquiring as a group into ‘big’ moral, ethical, and spiritual questions, while also considering curricular necessities and the demands of national and local standards. Based on the actual experiences of educators in diverse and global classroom contexts, this comprehensive guide gives you the tools you need to introduce philosophical thinking into your classroom, curriculum and beyond. Drawing on research-based educational and psychological models, this book highlights the advantages gained by students who regularly participate in philosophical discussion: from building cognitive and social/emotional development, to becoming more informed citizens. Helpful tools and supplementary online resources offer additional frameworks for supporting and sustaining a higher level of thinking and problem-solving among your students. This practical guide is essential reading for teachers, coaches, and anyone wondering how you can effectively teach philosophy in your classroom. What Makes an Inquiry Philosophical? What Are the Aims of Philosophy for Children? What Skills, Attitudes and Knowledge Do Teachers Need to Facilitate Inquiries? Are Children Capable of Philosophical Thinking? Does Inquiry Need to Be Philosophical? What is Philosophical Inquiry in Practical Terms? What Are Some of the Issues Around Teaching Thinking? Why Promote Thinking and Problem Solving in the Classroom? Which Students Do We Teach to Think? Can Philosophical Inquiry Help Re-Educate Emotions? Why Evaluate the Effectiveness of Thinking Programs? What Research Methods Are Best for Evaluating Effects of Philosophy for Children? Is Truth Problematic? Should Teachers Be Concerned? Is There a Threat to Healthy Democracies? Keith J Topping is Professor at the University of Dundee, UK. Steven Trickey is Scholar in Residence at American University, USA. Paul Cleghorn is an education consultant at Aude Education, UK.